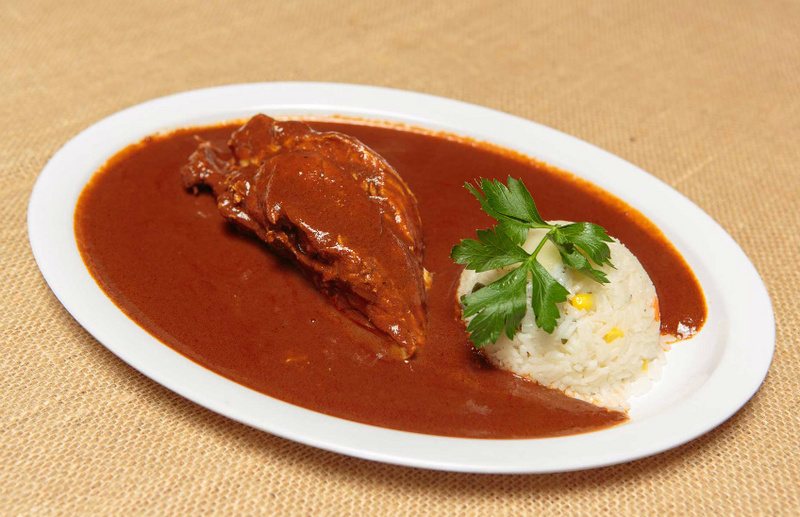 Guelaguetza's mole rojo is available for delivery on Caviar. It’s never been easier to be lazy and not do anything yourself. Ridesharing startups (some apparently more evil than others) can pick you up in a hybrid car or SUV in minutes. Instacart will bring you groceries in an hour or two. Between Google Express and Amazon Fresh, you can avoid toy shopping at a crowded mall and never have to lug bottled water or paper towels again. If you often ponder why you should leave the house, this might be the greatest time in history to be alive. Probably the most wondrous part of this Bring Anything From Point A to Point B tech war is all the food delivery you can get from places that don’t deliver themselves. These delivery startups send couriers to many of your favorite restaurants, so you can just sit on your Marina del Rey deck while somebody brings you Father’s Office burgers or food from Sawtelle during rush hour (yes, these are real examples). If you live on the Westside, there’s an app that will deliver you Kogi tacos and Chego rice bowls from Alibi Room, the bar that serves Roy Choi’s food. If you live in Central Los Angeles or even Downtown, a different service will bring you chicken mole and goat tacos from Guelaguetza. Yet another app has no problem sending Mozza2Go pizzas from Hancock Park to Downtown locations more than 5 miles away. Here are three food-delivery services, and some of the ridiculous things you can make them do. Alibi Room, Bay Cities, Gjelina Take Away, Scopa Italian Roots, Playa Provisions, Wurstkuche, and Sugarfish are among the dozens of Westside options. There’s no Eastside delivery or even West Hollywood delivery yet, so think of DoorDash as a good option when you’re near the beach, whether you’re in Pacific Palisades or even Manhattan Beach. The Manhattan Beach roster is impressive: Asian fusion from Little Sister, sushi from the Izaka-ya by Katsu-ya, pizza from Pitfire, salad from Lemonade. Doordash charges a $7 delivery fee. How much you tip is up to you. OrderAhead is aggressive about its delivery range, so feel free to go for a walk on Abbot Kinney while waiting for somebody to bring you Zankou chicken from West LA or ramen from Tatsu on Sawtelle. Bay Cities, Gjelina Take Away, Wurstkuche, and Sugarfish are also available on the Westside, making this a serious head-to-head battle with DoorDash around the beach. OrderAhead, though, also has much more of the city covered: If you live around Beverly Hills or West Hollywood, you could order A.O.C. for lunch and Matsuhisa for dinner if you have an unlimited budget. Or go more gourmet casual with Urthh, Joan’s on Third, or Canter’s Delicatessen. Strangely, you can also get a late breakfast from the Chateau Marmont, if you really want chocolate almond chia pudding at 11:30 a.m.
For those who live Downtown, delivery from the Arts District Wurstkuche could seem like a no-brainer, but OrderAhead will also make the trek from Mozza2Go or Roscoe’s House of Chicken and Waffles. OrderAhead charges a $6 delivery fee. How much you tip is up to you. Caviar is relatively weak on the Westside (although Phorage and Ditmas Kitchen are decent options) but dominant on the Eastside and Downtown with Taiwanese rice bowls from Pine and Crane, po-boys from Little Jewel of New Orleans, enchiladas from Border Grill, and the wild Asian mashup food of Starry Kitchen. There’s also something called Secret Chinese Delivery, which brings you dumplings and free-range orange chicken from a mysterious purveyor. Delivery in a wide swath of Central LA is also strong with Guelaguetza (available in Caviar’s Eastside and Downtown delivery range too), chicken parm sandwiches from Paninoteca by Scarpetta, pastas from Sotto, burgers from Short Order, and elevated bar food like crispy pork belly from the Church Key. Caviar charges a $4.99 delivery fee and doesn’t mark up food prices, but it adds an 18 percent tip.